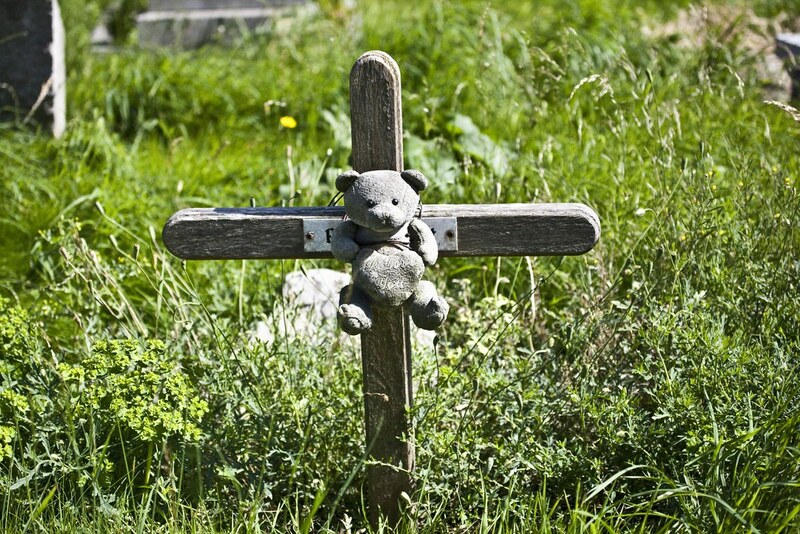 I first started photographing this grave in 2006 as it caught my attention because there was a teddy bear attached to the cross which indicated that it was a child’s grave. 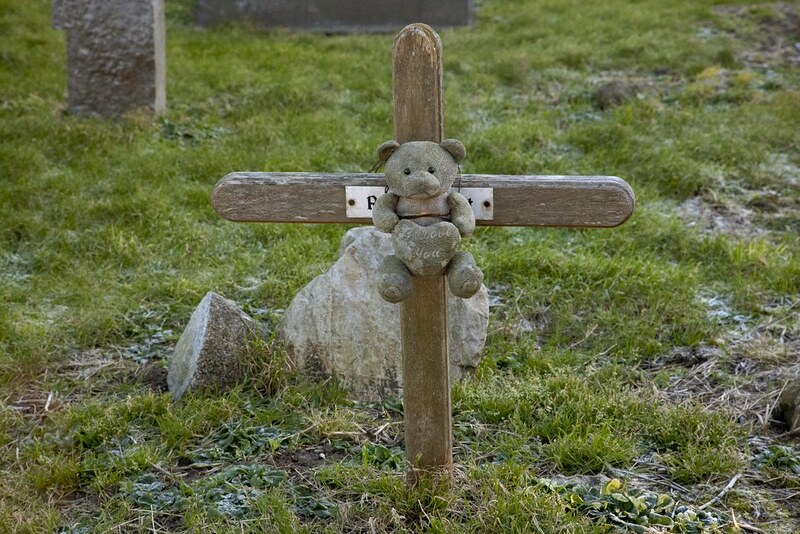 The teddy survived for many years but as all indications were that the grave was not being maintained it became very weatherbeaten and then it disappeared some between during 2011. 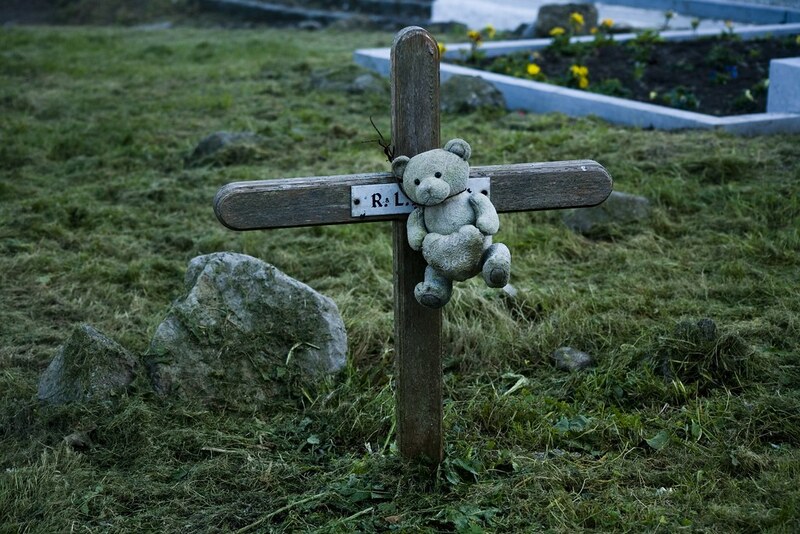 The removal of the teddy revealed the following inscription ‘R. 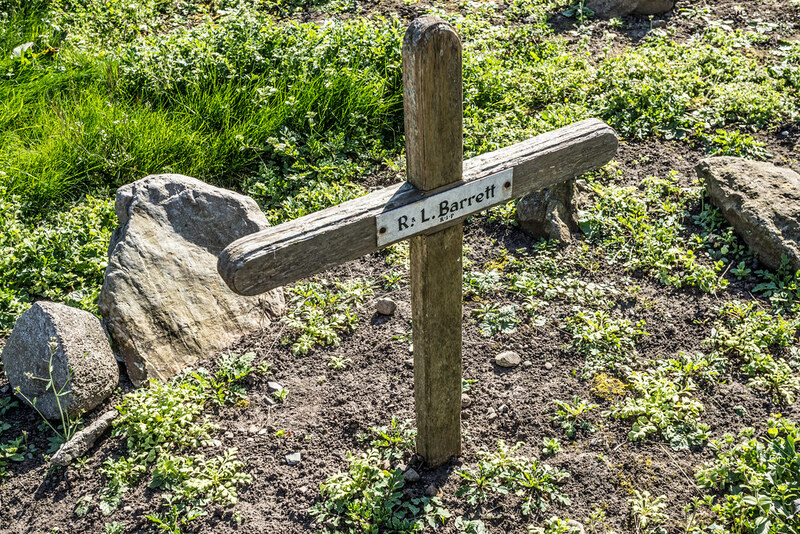 & L. Barrett’ indicating that there was more than one person buried here and that my assumption that this was a child’s grave may have been incorrect. 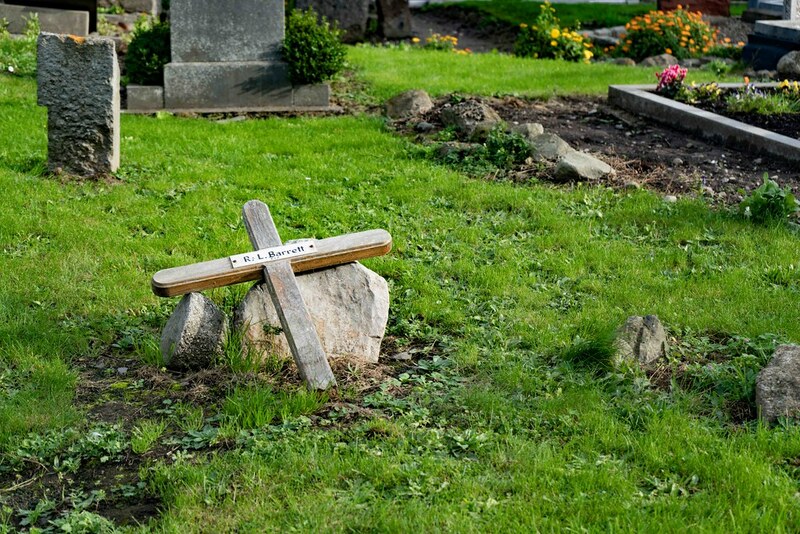 Today [29-10-2015], I was a bit disappointed to see that the cross had rotted at the base and has become detached from the grave. 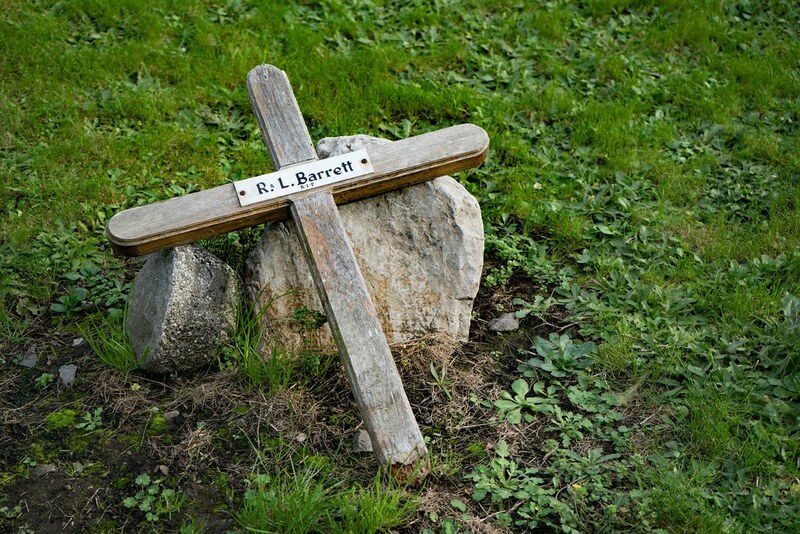 I will be very surprised if it there when I next visit.